Engagement season is winding down and we are entering wedding season. If you are newly engaged, you are probably getting all your wedding details sorted out. After the venue has been decided, one of the next biggest decisions you will have to make for your wedding is the food, and we're here to help! Your wedding deserves the best Italian food at the Lake of the Ozarks, and we would love to help make your special day one to remember. Before wedding season truly takes off, here are a few foods that are traditionally featured at an Italian wedding, along with a few featured dishes off our own menu that will make your mouth water. Italian food is a favorite all across the United States and even the world. However, those Italian dishes can vary quite a bit. When the first wave of Italian immigrants came to America, they couldn't get many of the ingredients they used back home, so they have to improvise. Many of the "Italian" staples you see in Italian restaurants across the U.S. have never seen the light of day in the land that inspired it. While you may not see any of these dishes in Italy, you can definitely find them at your Lake of the Ozarks Italian restaurant. You can't go to an Italian restaurant in America without seeing this staple on the menu. However, you won't be able to find spaghetti and meatballs at a restaurant in Italy because it was invented in America. 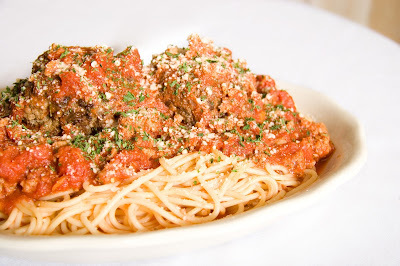 While Italians do enjoy their spaghetti and they do love meatballs, they don't eat them together. Typically, in Italy, meatballs are served on their own. February 9 has been declared National Pizza Day! Whether you enjoy your pie hand tossed or with a thin crust, we can all agree that pizza is the best. Have you ever wondered where pizza came from? We have a whole month, day and week that celebrates it, but how much do we know about pizza? Your favorite Italian restaurant at the Lake of the Ozarks did some research and we have the answers! In honor of National Pizza Day, here is a little history of one of our favorite menu item. Like many other dishes, the origin of pizza is uncertain. While many people think of pizza as an Italian creation, pizza can be dated back to the Ancient Greeks. They would cook flatbread in mud ovens and top it with oils, herbs, spices and dates. Tomatoes haven't been discovered at that time, and they wouldn't have used them as we do today. With the biggest football game of the season happening this weekend, it's important to make sure you celebrate it in style. 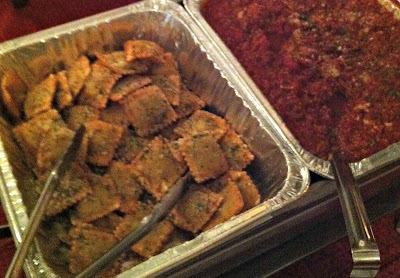 It's all about friends, football and food, and Li'l Rizzo's is here to help you out. This Sunday, February 5 the New England Patriots and the Atlanta Falcons face off in Super Bowl LI. There are many ways to celebrate Super Bowl Sunday, and here are just a few ways you can spend it with Li'l Rizzo's.